Selangor, Malaysia, Aug 21, 2015 - (ACN Newswire) - Levels of economic development, population, investment, openness and education can all impact the total amount of human misery and economic devastation caused by floods, according to a study published in the Pertanika Journal of Social Sciences and Humanities. 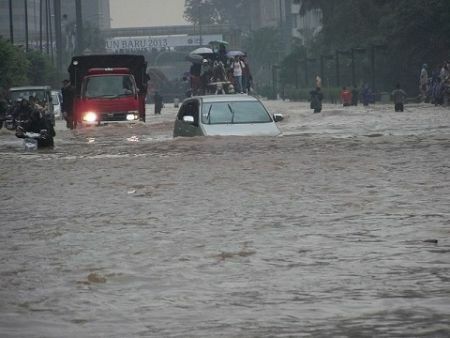 The study, by researchers in Malaysia, set out to determine which factors can help to reduce flood fatalities and damages, based on data from 79 countries. According to the authors, almost 7,000 natural disasters occurred around the world from 1978 to 2008. Floods and storms accounted for 67 percent of these events, while earthquakes, landslides, droughts, extreme temperatures, wildfires and volcano eruptions accounted for the remainder. In 2009 alone, floods in Asia caused more than 3,000 deaths and affected 57.7 million people, with economic damages reaching US$8 billion. Floods not only have immediate effects but also gradual or long-lasting impacts following an event. For example, floods can affect human health by causing death, physical injury, disease transmission, malnutrition and loss of morale. Similarly, floods can affect the agricultural sector by destroying crops and livelihoods, homes and infrastructure. Despite this, the study suggests that enhancing economic development can help to reduce the impact of floods on human fatalities, total people affected and economic losses. "Countries with higher income are more prepared to face future devastation due to floods," report the authors. Public investment in flood relief centres, flood preparation programs, early warning systems, enforcement of building regulations in flood prone areas, etc., can all lessen the impact of floods on human health and damage to infrastructure. Among other policy implications, the authors recommend that governments allocate budgetary resources on "mitigating factors and facilities such as retainable walls or establishing adequate forest reserves to act as cushions to prevent or minimize [flood] damages." The researchers are now in the process of updating their study using flood data as recent as 2014, as well as investigating the impact of other types of natural disasters. The team is also looking into how natural disasters affect fertility around the world. JSSH aims to develop as a pioneer journal for the social sciences with a focus on emerging issues pertaining to the social and behavioural sciences as well as the humanities. Areas relevant to the scope of the journal include Social Sciences - Accounting, anthropology, Archaeology and history, Architecture and habitat, Consumer and family economics, Economics, Education, Finance, Geography, Law, Management studies, Media and communication studies, Political sciences and public policy, Population studies, Psychology, Sociology, Technology management, Tourism; Humanities - Arts and culture, Dance, Historical and civilisation studies, Language and Linguistics, Literature, Music, Philosophy, Religious studies, Sports.